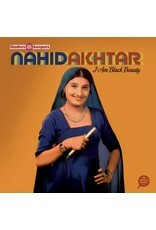 “I am black beauty… love me!” A forthright enough request, one would think, from an artist whose music was indeed loved, revered and which played a hugely influential and omnipresent role in Lahore’s vibrant cinematic patchwork that covered the late 1970s and early 1980s. However, until now, it seems that this lost love letter to a potential global audience of millions of sonic suitors has been caught up in the pesky Pakistani postal system. Nahid Akhtar needs a connection. Don’t blame the Khyber Mail. In a neat and tidy career that spanned exactly ten years, Nahid Akhtar came, saw and conquered, then relatively disappeared without even thinking about buying the t-shirt. Disrobing the vibrant finery that interweaved textures of Ghazals, classical music, Punjabi folk songs and Qawwalis (not forgetting a wide range of progressive pop music penned for the Pakistani picture house) from which this records track list is lovingly gathered. 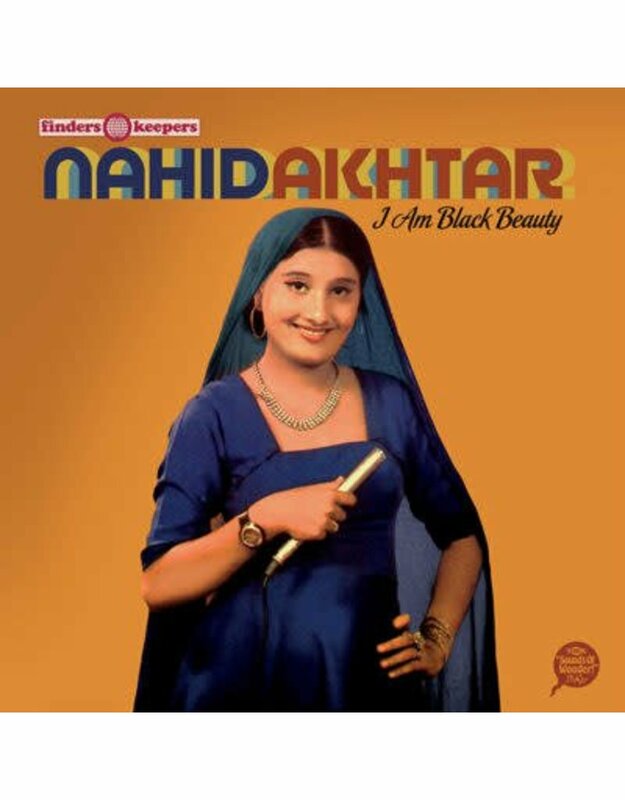 It is virtually unfathomable that the multifarious music of Nahid Akhtar, combining textures, tempos, technologies, global influences and multi-cultural languages (and all this within the opening seconds of a song! ), didn’t open the door to international stardom to match that of Asha Bhosle or Lata Mangeshkar from India. In the last few years the music of Lollywood’s golden era has enjoyed a marked resurgence amongst outernational music fans, with labels like Finders Keepers remastering and compiling the work of the Tafo Brothers and M. Ashraf for a global market with wide critical acclaim. Hopefully, with this collection as a sturdy stepping stone to a widely rewarding expanse of further listening, the music of Nahid Akhtar can find a place alongside your favourite international songbirds and her original love letters to the world of music will command a much justified RSVP.